A funny thing happened to me while upgrading my PC the other day. Having swapped out my motherboard, CPU and RAM for a Skylake compatible MSI Z170A Gaming M5 board, Core i7 6700K CPU and some DDR4 RAM, I booted up to find my copy of Windows 10 was no longer activated. That in itself isn’t unusual – however, Microsoft’s suggested solution to it is: reinstall Windows 7, then reinstall Windows 10 again. Want to read more on PC hardware? Check out our best PC gaming headsets. If you’ve ever upgraded your chipset before, you’ll come to expect your copy of Windows to require re-activation when you next boot it up. It’s an almost metaphysical question: what are the components that make it your PC, and when does it become a new PC entirely? Chucking some new components into the same old case might logically seem like adding upgrades to the same machine, but Windows sees it differently. To Windows, the motherboard is the heart and soul of a PC. When it detects a new motherboard, it has no way of knowing someone didn’t just plug the disk drive it’s installed on into someone else’s machine entirely, and since the license was tied to the motherboard it was originally installed on, your copy of Windows is no longer activated. This is worrying at first, but previous versions of Windows had easy-ish solutions (which you figure out pretty quickly if you’re in the business of testing PC hardware and thus swapping components out constantly). In Windows 7’s case, once you used up all your activations it was a case of contacting Microsoft support, explaining that you replaced the motherboard, and waiting for them to send you a new activation key. Simple. However, with Windows 10 things get a lot trickier. If you upgraded for free using your copy of Windows 7/8 (as most Windows 10 users did) you have what Microsoft call a ‘Digital Entitlement,’ which works differently to previous Windows licenses. Microsoft’s official line on what to do after a hardware change of this magnitude isn’t encouraging: basically, you have to purchase a new license. In reality, the company’s a bit more accomodating, but the solution still seems needlessly convoluted. Having installed a new mobo for testing, I contacted Microsoft support via text chat and explained the situation. After a few minutes of discussion, he told me I’d have to first reinstall Windows 7, then upgrade to Windows 10 all over again, in order to activate this new hardware configuration. It’s mixed news. On one hand, I’m relieved I don’t have to pay for a new license every time I sneeze in the vicinity of my PC. On the other: that’s a lot of hard-disk thrashing and loading bars just to make a little message in the bottom right of my screen disappear. 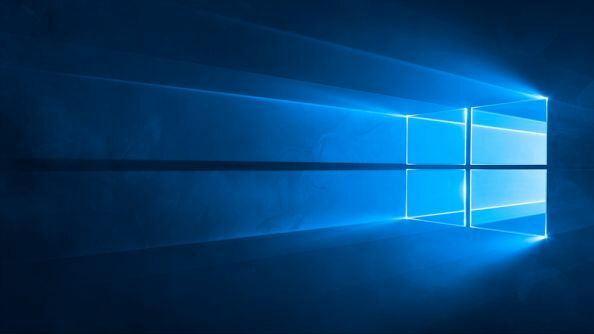 If you’re about to embark on an upgrade to Intel’s new Skylake architecture and you’re currently running a free upgrade version of Windows 10, be prepared. And as for that MSI Z170A Gaming M5 motherboard whose introduction to my machine prompted all of this? I’ll be posting a review shortly.